At A.R. 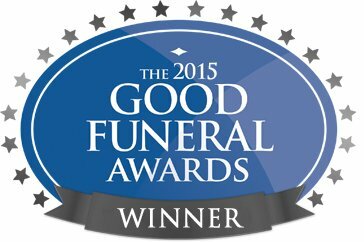 Adams (Funeral Directors) Ltd your privacy is important to us, and has been for over 100 years. We understand that it is to you too. We understand that you care about how your personal data is used and shared online. We respect and value the privacy of everyone who visits this website www.aradams.co.uk and will only collect and use personal data in ways that are described here, and in a manner that is consistent with our obligations and your rights under the law. Our website is operated jointly by us and Cyan Distribution (T/A/ Cyan Marketing), a limited company registered in England under company number 05650735, whose registered address is Suite 16, Philpot House, Station Rd, Rayleigh SS6 7HH and whose main trading address is the same. Depending on your use of the site, the personal information we collect might include your, IP address and information regarding what pages are accessed and when. If you leave a review, your name will be collected (if you give it). Other than people who submit a review, this information only consists of IP addresses, we have no way of linking this to your offline identity, but your internet provider does hold records of your IP address and websites visited. We may sometimes contract with third parties to supply us with website analytics. We may compile statistics about the use of our website including data on traffic, usage patterns, user numbers, sales, and other information. All such data will be anonymised and will not include any personally identifying data, or any anonymised data that can be combined with other data and used to identify you. We may from time to time share such data with third parties such as prospective investors, affiliates, partners, and advertisers. Data will only be shared and used within the bounds of the law. We will not contact individuals for marketing purposes.